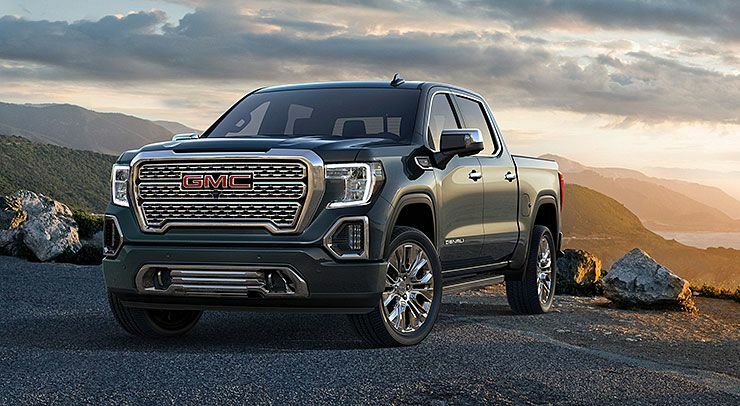 Bigger and bolder than ever before, the new 2019 GMC Sierra 1500 Denali debuted with more of what buyers of this luxury truck expect: shiny trim, plush materials, and major improvements in functionality, technology, and powertrain offerings. The Sierra still shares its underpinnings with the Chevrolet Silverado, which includes a steel frame and 5.3-liter and 6.2-liter V8 engines, plus an inline-6-cylinder diesel, but it gets additional high tech equipment. 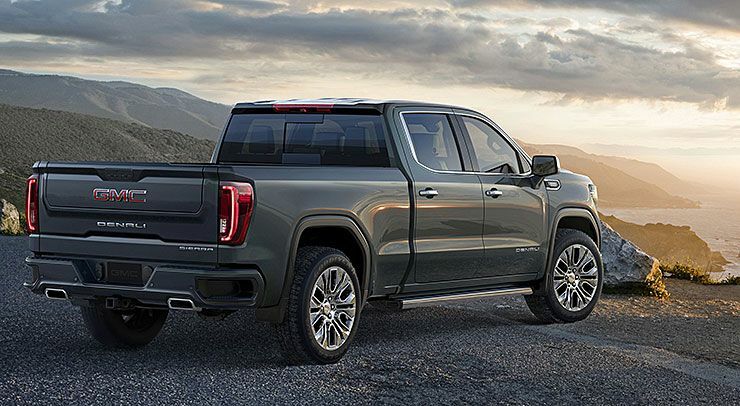 The new Sierra 1500 Denali will offer a carbon fiber composite bed construction in addition to standard steel beds available on other Sierra trim levels. GMC says the new carbon fiber bed will offer best-in-class dent, scratch, and corrosion resistance. Only the inner panels of the bed are made out of carbon fiber material, but it saves 62 lbs when compared to a bed made out solely out of steel. The carbon fiber bed joins the aluminum hood, doors, and tailgate for a total 2019 Sierra weight savings of 360 lbs when compared to the previous generation of the truck. 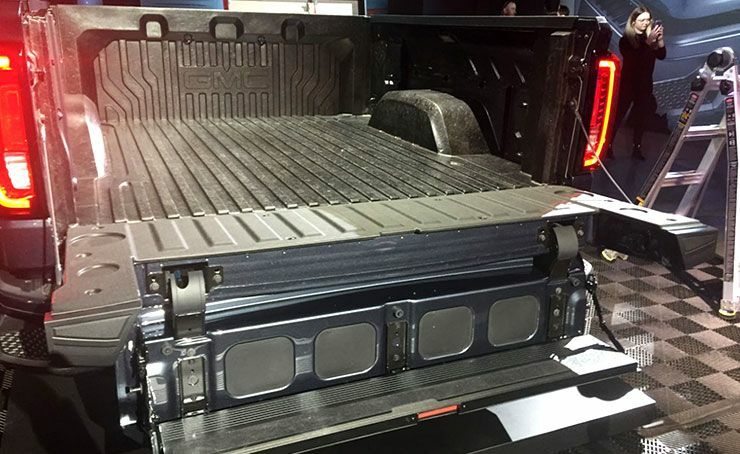 Along with the bed material, which will surely be the subject of major debates among truck buyers, GMC is also introducing a clever, power tailgate with a small hinged section built into it that provides five different functions. GMC calls it the MultiPro Tailgate, and it will be standard on SLT and Denali trim levels, while the carbon fiber bed will be a Denali exclusive. Both SLT and Denali also pack the latest version of GMC’s IntelliLink infotainment system, which is basically a reskinned version of the new Cadillac CUE, which is a good thing. 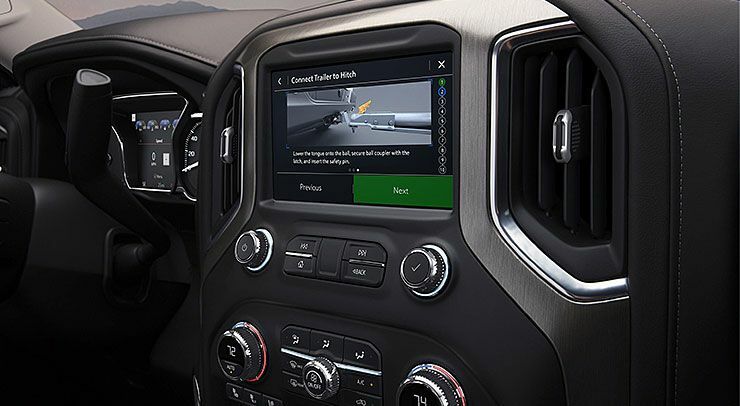 The Denali will get a 3-by-7-inch color head-up display and a rearview mirror that can display what the backup camera sees in the event of rear visibility being obstructed by something in the bed. The new 2019 GMC Sierra 1500 will go on sale in the fall of 2018. Pricing and other details will be available closer to launch.